Testimonials - read what our happy customers have to say about Econstructions. 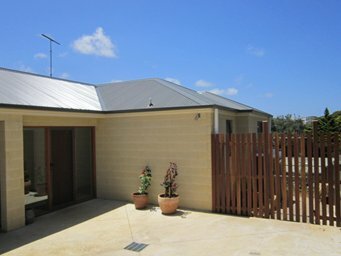 0410 636 098mail@econstructions.com.au We build. We design. We enhance. Read what our happy customers have to say about our work. My house was a little holiday shack before Ian helped me transform it into a beautiful warm and inviting home. We discussed many options regarding materials and design to create a home within my budget. Thank you Ian for your patience and understanding during the stressful time of renovating. We did it! Thanks Ian for building our home that has totally changed the way we live. I'm very grateful to Ian Jenkins of Econstructions for his advice, support, expertise and hard work from beginning to end of my project (a two lot subdivision and construction of a new home in Ocean Grove). It was my first project of this sort and would not have come to fruition without Ian. The planning process was somewhat complicated but Ian saw that the project was perfectly viable. It became necessary to attend a VCAT hearing and Ian provided the confidence to continue when it all seemed rather daunting. When construction finally began Ian was keen to make the new home something special. His own recently completed new home provided inspiration and my house took on several of its features. The most notable of these was a beautiful Tasmanian Oak floor for the main kitchen and living area which Ian laid himself. This was a significant upgrade on the flooring specified in the original plans. Several other upgrades were provided including the kitchen, European laundry and bathroom. During all stages of construction Ian's attention to detail and pride in his work shone through. Now the home is complete it impresses all who visit and is a pleasure to live in. Ian has continued to assist with any minor issues. He has also provided much valuable advice with the landscaping and preparing the property for holiday rental during the summer season. A friend of mine has started with his own project and I had no hesitation in recommending Ian for the job. We are skilled in the design, construction and maintenance of high quality structures that adopt industry best practice for sustainability in the built environment.